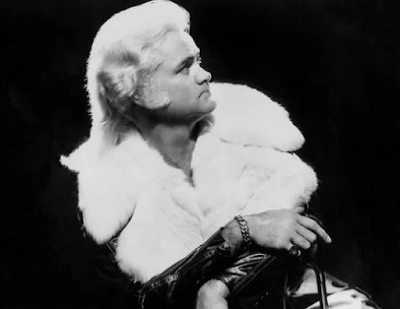 Famous soul singer, Wayne Cochran best known for his towering white pompadour haircut, wild outfits and signature song "Last Kiss," died in Florida at the age 78. Cochran's son confirmed to the Miami Herald that the "White Knight of Soul," who made a name for himself with his outrageous stage antics before giving it all up to become an ordained minister in Miami, passed after a battle with cancer. Born Talvin Wayne Cochran on May 10, 1939, in Thomaston, Georgia, the singer was inspired by such classic soul showmen as James Brown and Otis Redding, playing in bands as a teen and later famously influencing Elvis Presley with his gravelly voice, high-energy performances and flashy stage attire. Launching his career in the 1950s, Cochran blended rockabilly and country sounds and by 21 penned the song that would become his lasting legacy: "Last Kiss." Cochran released the tragic story song about a doomed love affair, a car crash and a final wish from a dying lover in 1961, but it was a pair of covers that made the track famous years later.